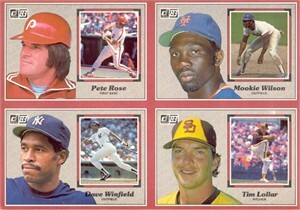 Near complete set of 1983 Donruss Action All-Stars jumbo (3 1/2 by 5 inch) cards. 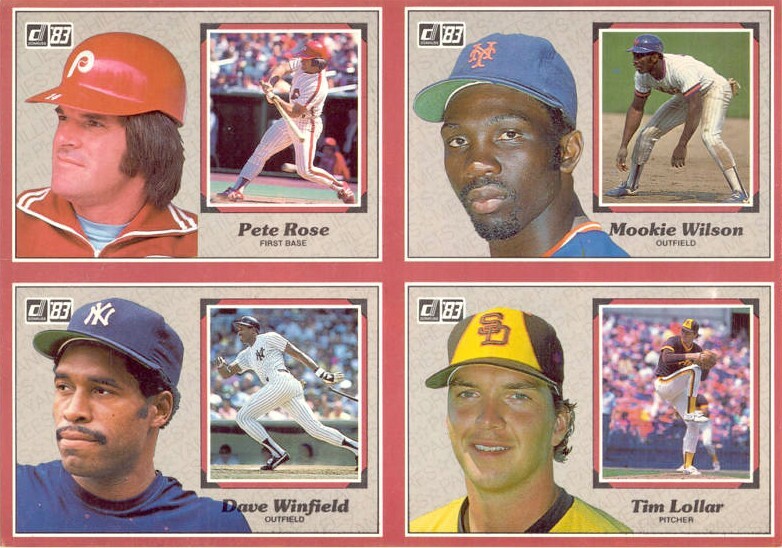 Includes 57 of the 60 cards including George Brett and Cal Ripken (missing cards #4 Greg Luzinski, #23 Nolan Ryan and #33 Rollie Fingers). Average NrMt condition. ONLY ONE AVAILABLE FOR SALE.